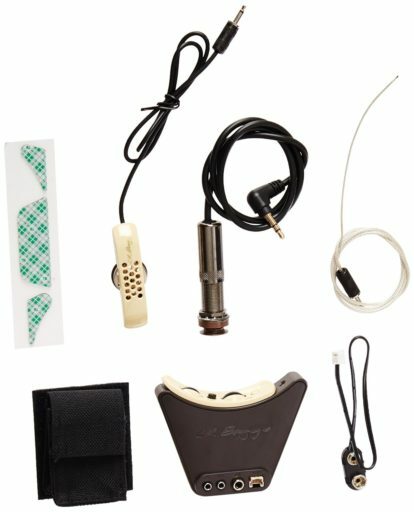 Do You Want the Best Acoustic Guitar Pickup? It’s very common for acoustic guitars to have inbuilt pickups now and it’s wise to try and factor one into any guitar you buy. 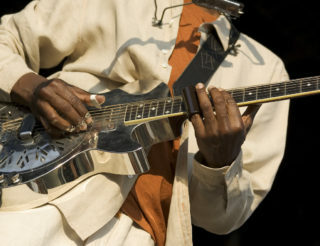 But some have no electronics simply to keep the cost down, while more expensive instruments acknowledge that players might prefer to choose and install their own type of pick-up to suit particular styles and situations. You might have a favourite guitar that needs a pick-up put in. Straight up, I’m going to recommend you don’t go too cheap with your budget. That’s a recipe for hums, buzzes and poor tone. And for the sake of balance, I’ve included a couple of big-ticket items here. Before I show you a list of options, here’s a very quick lesson on the different kinds available. It’s important you know the difference. Hint: “Feedback” can be anything from a very low rumble to a screeching, ear-piercing squeak. It’s when the signal from your pick-up comes out of an amplifier (or PA system) and is accidentally picked up again by your guitar—so it’s “feeding back” into your amplifier in an endless loop. Normally, you’d never want this. But you’ll often see rock musicians holding their electric guitars close to their amps to deliberately create screaming feedback. 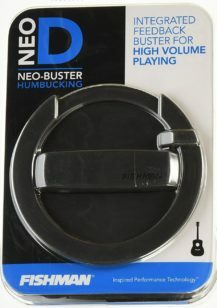 A lot of acoustic guitar feedback can be reduced by using a “feedback buster” or “sound hole cover”. See here. Electro-magnetic pick-ups are mounted across the sound hole of the guitar and create a signal by responding to the strings vibrating within the electro-magnetic field produced by the pick-up. The natural tone of the instrument—what you actually hear—has almost no impact on the signal produced by EM pick-ups, but the more you pay, the better these can sound and they’re less prone to feeding back. So they’re popular with guitarists using acoustic guitars in loud rock bands and such. Keeping things very simple, piezo-designed pick-ups are really a tiny microphone that “listens” to your guitar through the vibrations of the wood—so a good physical contact with the timber is needed. It means the natural tone of the instrument is a big factor in what signal the pick-up produces, and they create a “real” acoustic sound. However, it’s a design that by its very nature is prone to feedback. 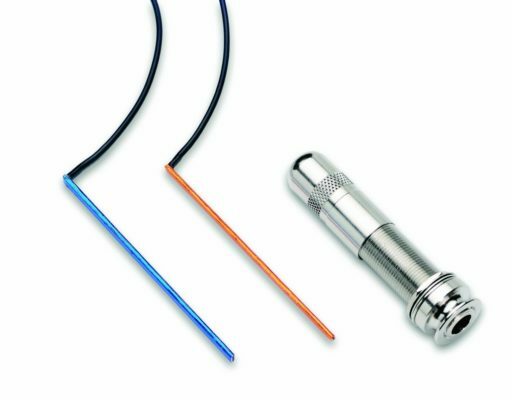 In the pursuit of a perfect, amplified acoustic tone some pick-up manufacturers have designed miniature, high-quality microphones that mount inside the body of your guitar. The natural tone of your instrument is very important—these pick-ups can only recreate what they acoustically hear. But again, they’re likely to feed back when things get loud. 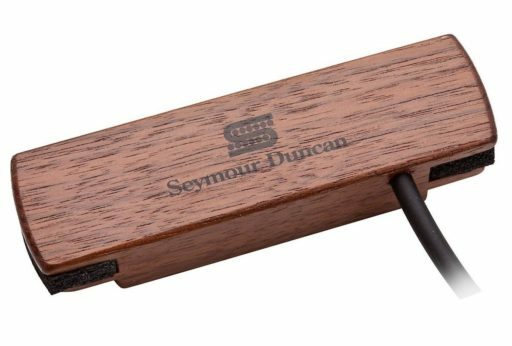 This is a sound hole-mounted EM pick-up from a company well-known and respected for its products: Seymour Duncan, so you can be confident it’ll sound good. 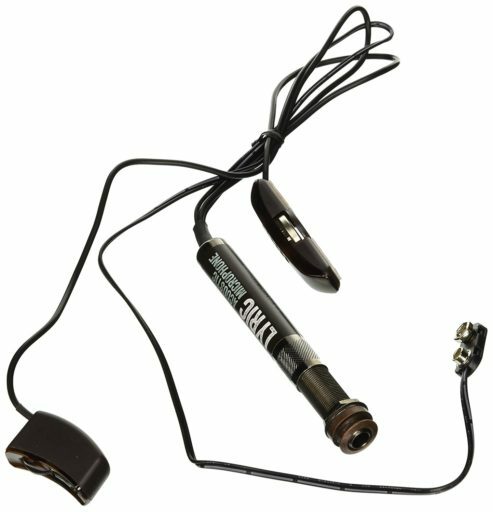 The internal electronics reduce unwanted hum, and the pick-up has an attached fourteen-foot cable with a standard, hard-wired ¼ inch plug on the end. You won’t need to drill any holes in your guitar. This is a great idea. 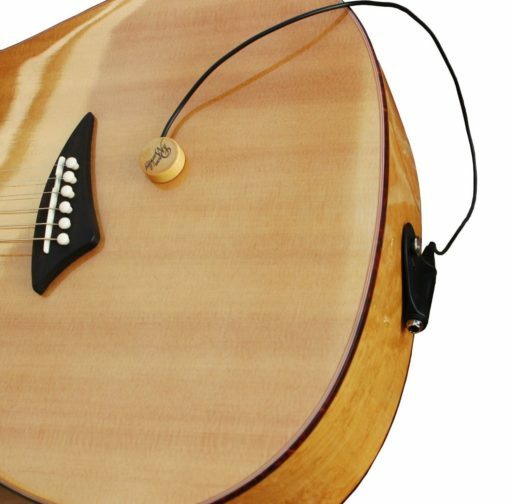 Fishman has incorporated a feedback buster into the sound hole mount for this EM pick-up—and again, Fishman is a highly respected name in the pick-up world. Just make sure the sound hole of your guitar is a compatible size. This is the most basic kind of piezo pick-up by Dean Markly. The microphone comes with a supply of special adhesive that gives you plenty of use, removing and replacing it over and again. These sorts of pick-ups are really popular for instruments like violins and cellos where you definitely don’t want to damage the timber, and they sound great on guitars, too. Pro Tip: This pick-up will sound very different, depending on where you place it. Experiment a lot for the best sound. This is what’s considered a “standard” piezo pick-up design and configuration. These elements slip under the rear saddle and pick up the strings’ tone from directly underneath. All the guitars you’ll find in a music store with pre-mounted pick-ups use this design—so plainly it’s good. They usually have a preamp increasing the signal, but you can purchase preamp foot pedals instead. With an external preamp of some kind, these undersaddle piezos give you the best sound without cutting a big hole in your guitar body for the volume and tone controls. Note there are narrow and wide configurations. No surprise, with this kind of technology, you’re starting to pay a lot more. But the advantage is a true acoustic sound. A small controller mounts on your sound hole to let you tweak volumes, so no damage there, and the microphone element needs to be fixed somewhere inside the body—use Bluetack at first to experiment for the best sound—but you will have to drill a hole for the cable jack. Check our LR Baggs. Yes, this will blow the budget, but to illustrate just how far these pick-ups can go… this system has an inbuilt microphone and a piezo element, and you balance between the two for the perfect, studio-quality sound. It needs a professional hand to install and plenty of trial-and-error to get the best placements, but the end result is awesome. 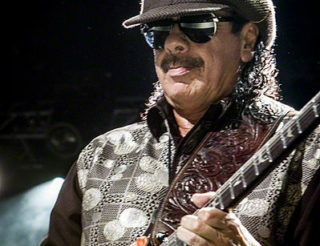 If you’re serious about a great guitar sound, this is the kind of pick-up you should consider. Hey… what the…? Isn’t this all about guitar pick-ups? Okay, here’s a real expert tip from yours truly—if the idea of mounting pick-ups to your precious guitar or cutting holes into the body scares you, a great solution is the good ol’ Shure SM57 instrument microphone instead. You’ll need to learn the technique of playing into a microphone, but then you’ll also figure out awesome tricks of changing the tone to suit different songs by adjusting your position slightly. 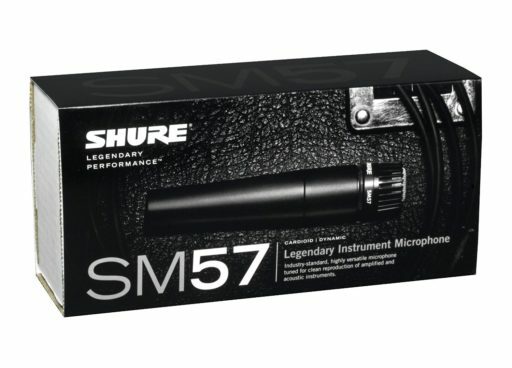 Beware, Shure mic’s are very popular and fake products are everywhere. So there you have it. The above pick-ups are just a small sample of what’s available in the various price ranges and designs. As always, if you can have a listen in a music shop, all the better. Otherwise, read the reviews carefully. If you have more ideas, products or tricks for great sounding guitar pickups, please share with us in the comments section below.